Deontae D. Wherry | Dallas Employment Attorney Rob Wiley, P.C. 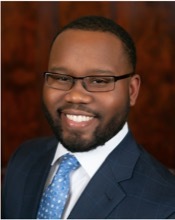 Deontae D. Wherry is a trial attorney in the Dallas office of Rob Wiley, P.C. Prior to joining our firm, Mr. Wherry worked as a litigation attorney, zealously advocating for clients in civil, criminal, and family law cases. Mr. Wherry currently focuses on representing employees in employment and labor disputes. He is devoted to ensuring that justice is served for his clients. Mr. Wherry is a proud Red Raider. Mr. Wherry graduated from Texas Tech University, obtaining his Bachelor of Arts in Political Science. Later, Mr. Wherry received both his Doctor of Jurisprudence and Master of Business Administration from Texas Tech University School of Law and Texas Tech’s Rawls College of Business in 2017. In law school, he honed his advocacy skills through his participation on national mock trial teams and the Board of Barristers. Additionally, he gained invaluable legal research and writing experience by serving as an Articles Editor for the Business & Bankruptcy Journal. In both law school and college, he demonstrated a commitment to fighting injustice and community service through his participation in numerous organizations. Mr. Wherry is a member of the Dallas Bar Association and the Dallas Association of Young Lawyers. Mr. Wherry is licensed to practice law in the state of Texas and admitted to practice in all state courts in Texas. Mr. Wherry is honored to have the opportunity to represent Dallas employees in their employment disputes.